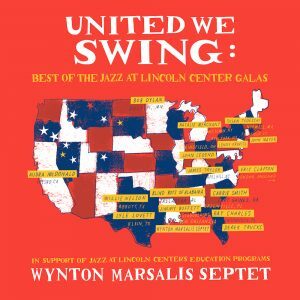 On March 23rd, Blue Engine Records will release United We Swing: Best of the Jazz at Lincoln Center Galas. Recorded live between 2003 and 2007, the album features a diverse group of artists joining Wynton Marsalis and his band to perform jazz and blues-infected versions of their repertoire. Natalie contributed a recording of her song “The Worst Thing” – recorded live with Wynton and the Septet at a 2006 gala. The album will be available in digital/CD/LP formats and can be preordered HERE. 100% of the proceeds go to help support Jazz at Lincoln Center’s music education initiatives.